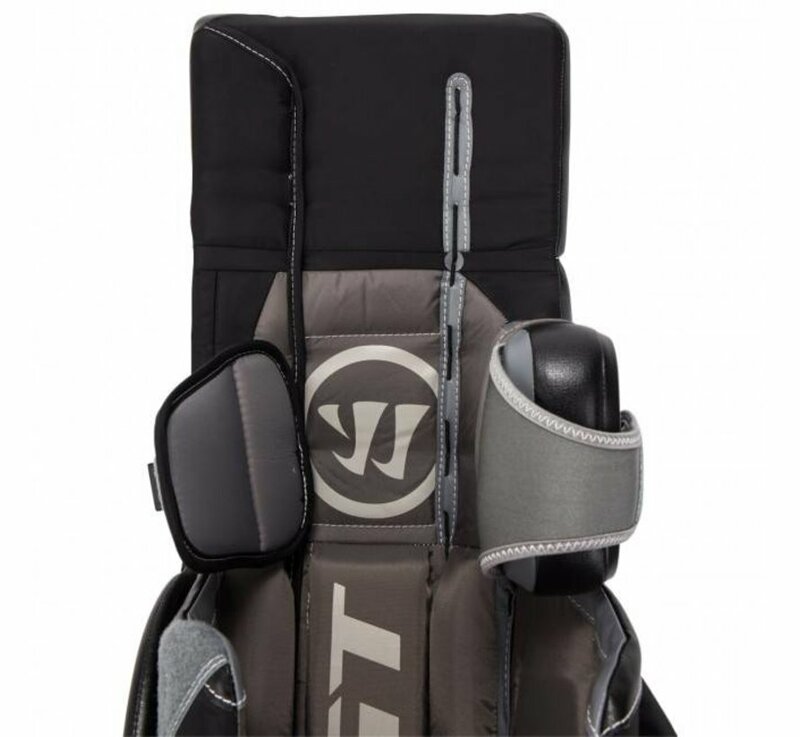 Size: * 32" + 1.5" 34" + 1.5" 35" + 1.5" 36" + 1.5"
In combination with the Warrior Brand and legendary goalie gear designer Pete Smith, Warrior is proud to keep tradition elevated with the brand new Ritual GT Pro pad into the market for 2017. 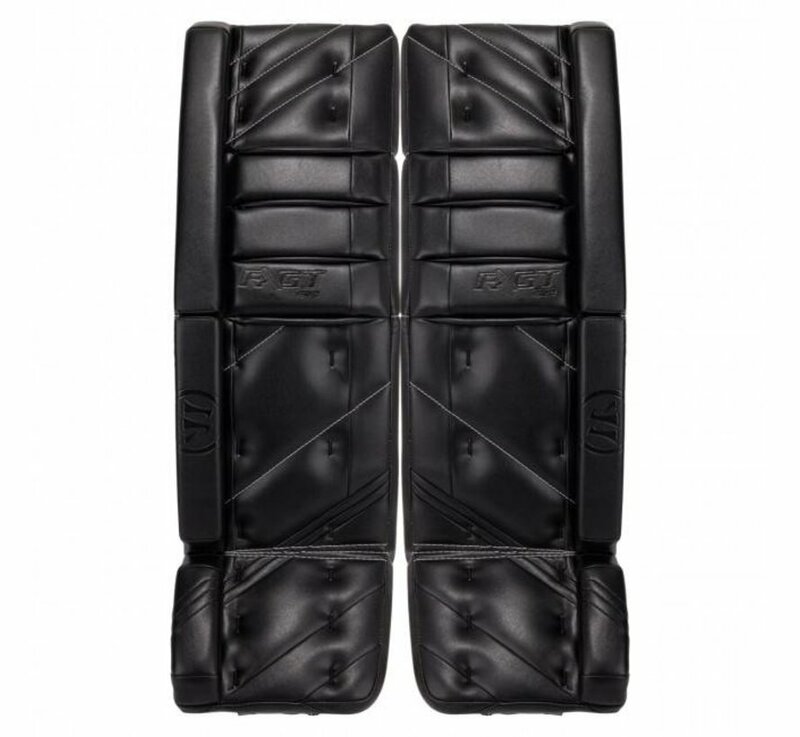 Beginning with a reengineered version of the G3, the GT Pro has more internal cuts and breaks which help create torsional and lateral flex in the pad which gives the goalie more energy throughout the game due to less weight being pulled during a game. The thinner profile at the top of the pad helps reduces any negative feelings from thigh rise overlap or bulky feeling when the goalie is moving throughout the crease. This also keeps the top portion of the pad closer to the goalies body for a tighter seal and maximum five hole coverage. Warrior has gone with a clean inside of the thigh rise and a slightly different core break above the knee which gives a good amount of bend when flexed but will hold its shape while covering the five hole. 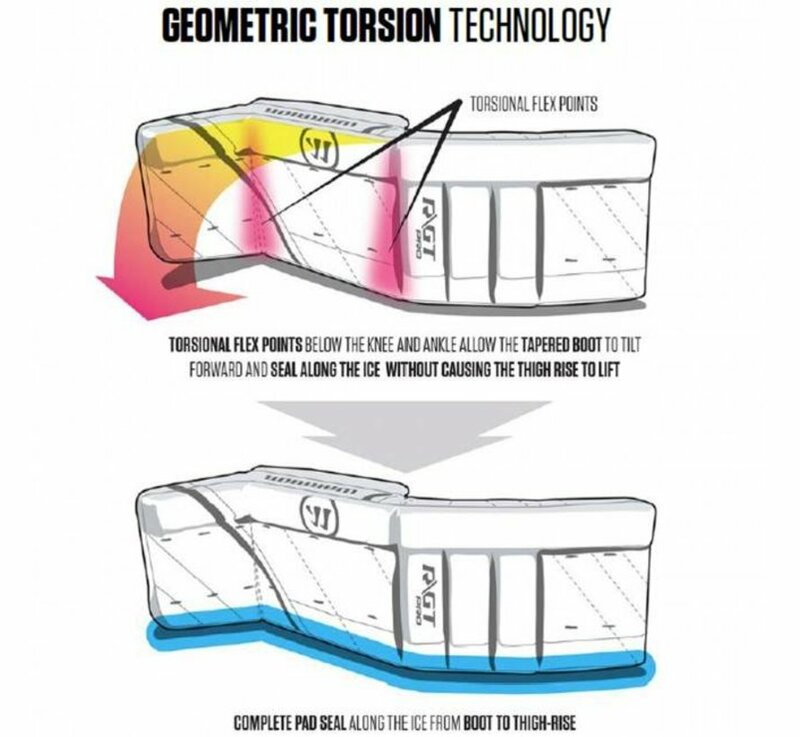 Continuing on the successful design on the G3, the GT now has a slightly tapered inside toe edge which aids in the torsion of the pad all while sealing the ice. This tapered design helps goalies get more flex and bend in the pad which can help reduce stress on the hips and ankles when dropping down. 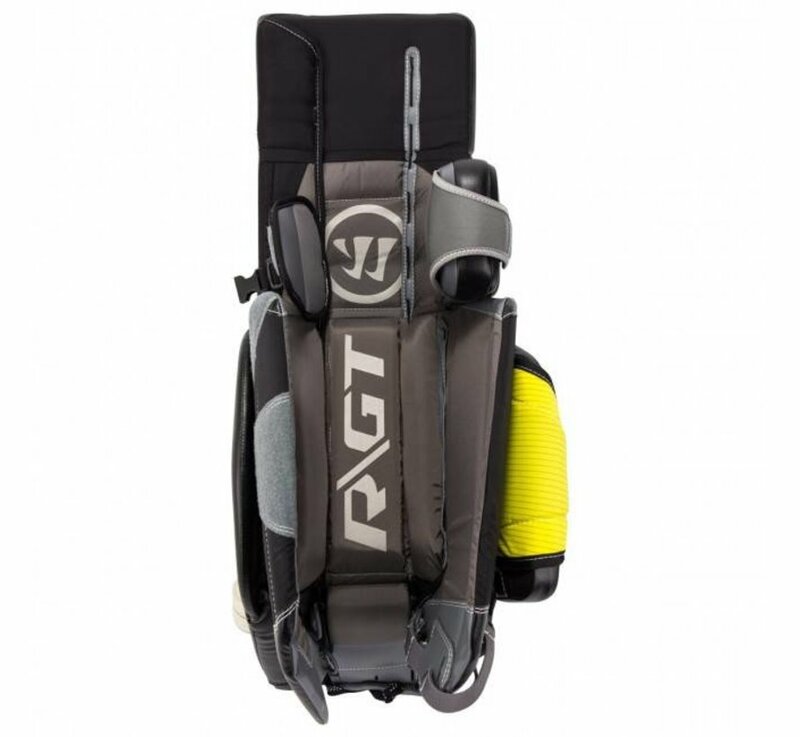 Combined with the strategic internal breaks at the boot and below the knee, the GT Pro pad gives a complete seal along the ice from the boot to the thigh rise. The leg channel of the pad has a minimalist and clean setup to further promote easy attachment for goalies, but to also enhance pad rotation. 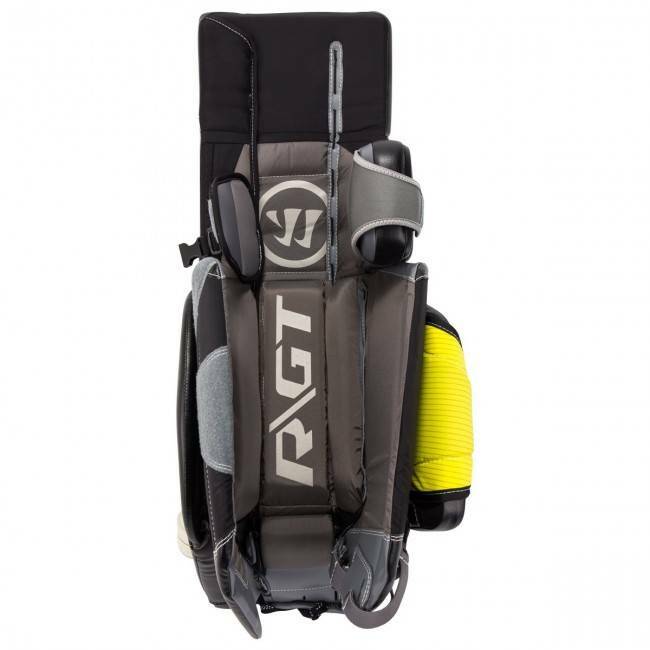 The Active Response Straps include a neoprene sling wrap setup behind the goalies knee to either attach across the knee, or angled down to the calf. On top of the sling wrap is a nylon strap which connects via a plastic buckle next to the knee or angled down at the calf. This setup helps keep the goalies knee centered on the knee block so the pad does not over or under rotate. 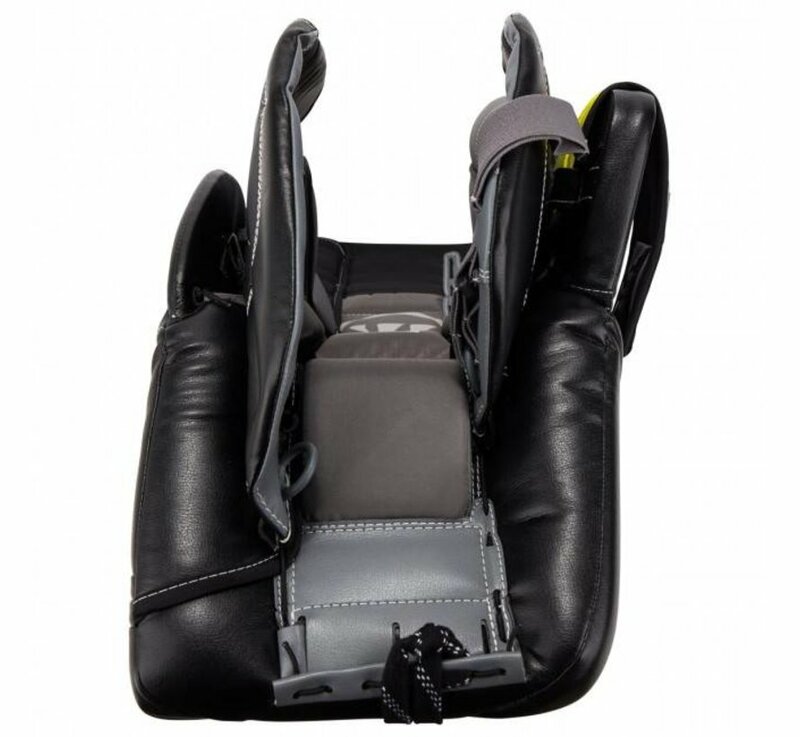 The calf has a solid wide Velcro strap which has a thinner Velcro attachment on the outside of the leg. 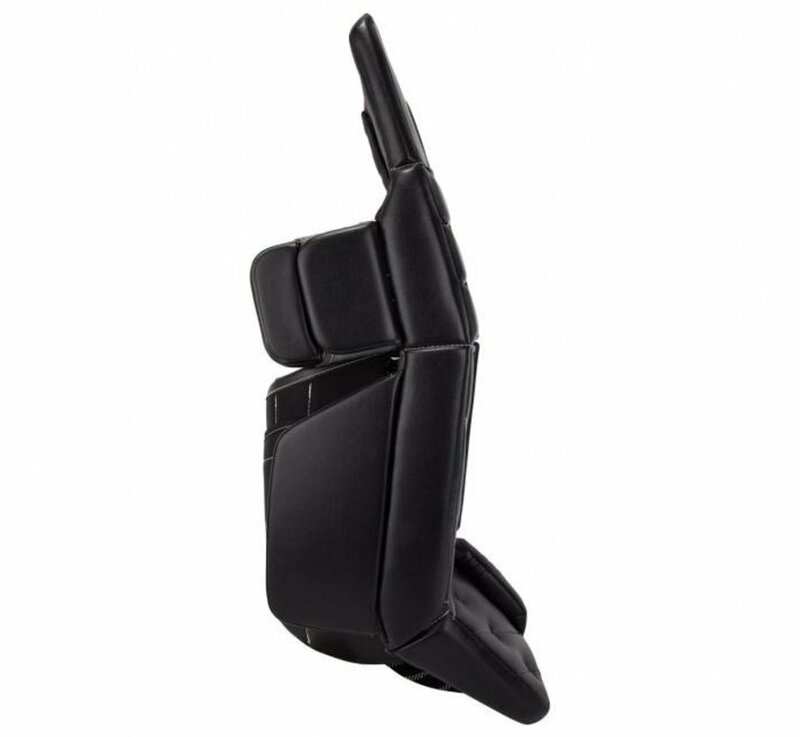 Keeping with hybrid tradition of the pad, the GT has a brand new outer post wedge that serves a dual purpose in protecting the leg but adding comfort in the butterfly. 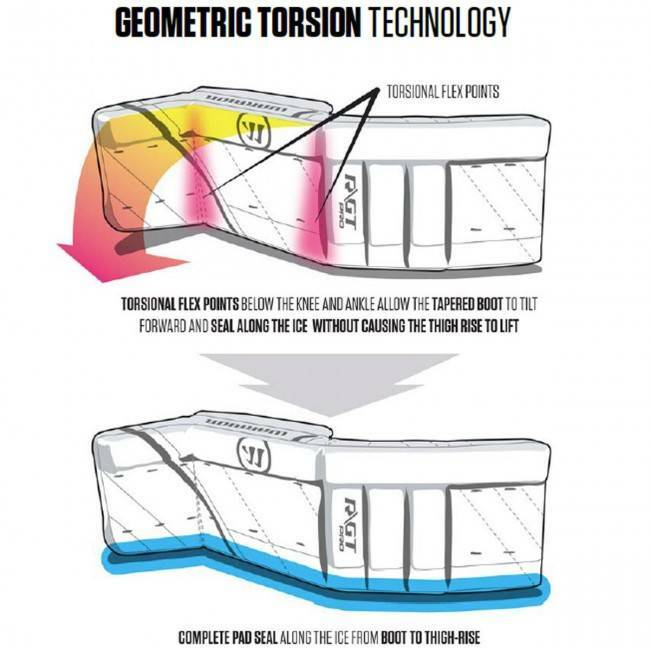 The post wedge now has circular edges which are made softer and more flexible to feel more comfortable against the back of the leg when transitioning and in recoveries. Also, the pad comes stock with standard skate lace toe ties, rather the Active Response Elastic toe setup. 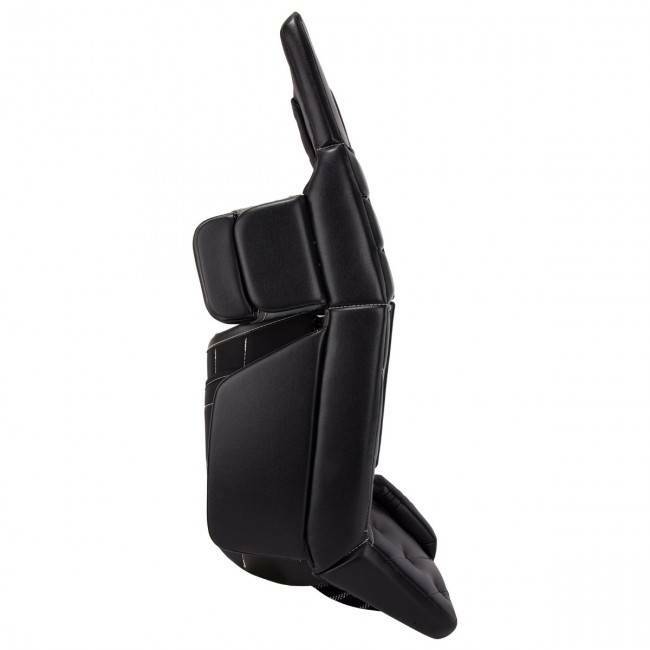 A more notable change on the GT line, the knee black has been reduced 1 inch in length from the inside edge of the pad. 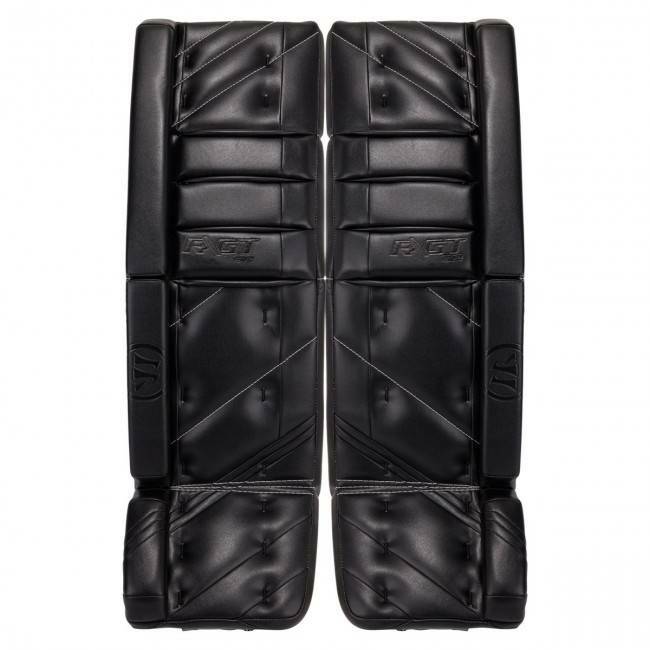 With this reduction, goalies are still able to get the tight seal on the ice, but the reduction also improves mobility while moving around the crease. 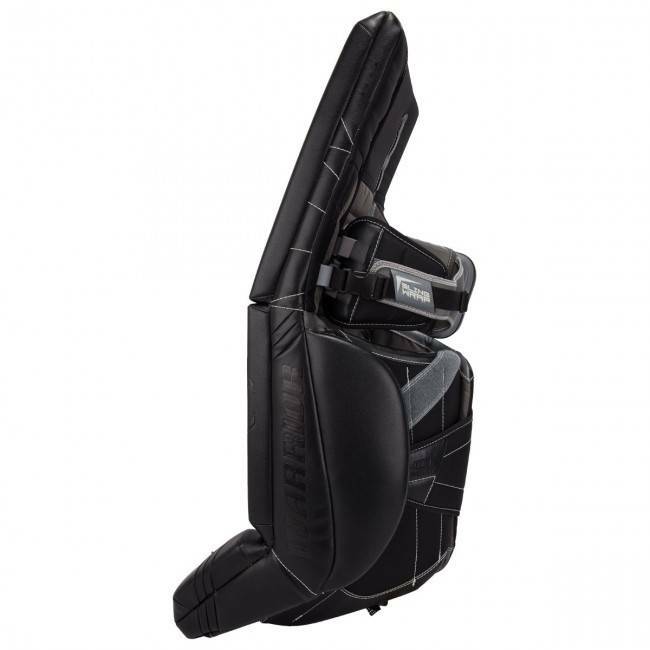 In comparison to the Warrior GT Senior leg pads, the GT Pro will feature upgraded internal foams and materials. 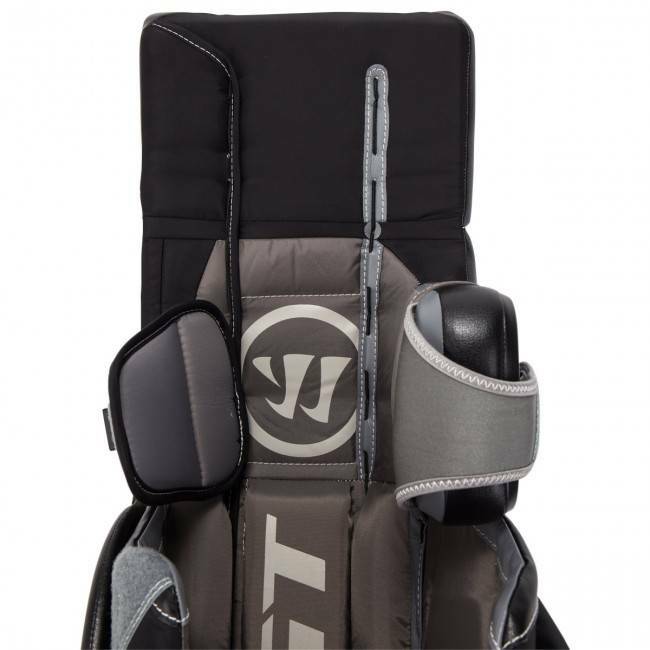 If you are a goalie who is looking for one of the most technologically advanced pads on the market, the Warrior GT Pro is the pad for you. White is the standard color. Custom color needed? Please contact us.